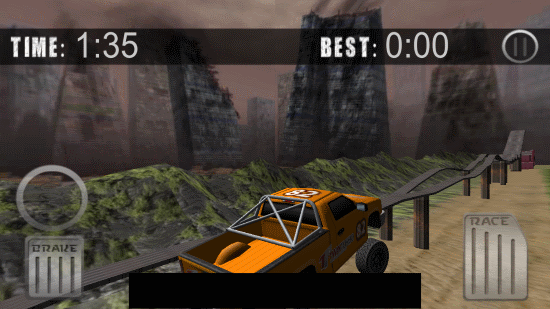 Trail Extreme Truck : Crazy Truck Climbing is a free racing game for Windows 8 and 8.1 computers. 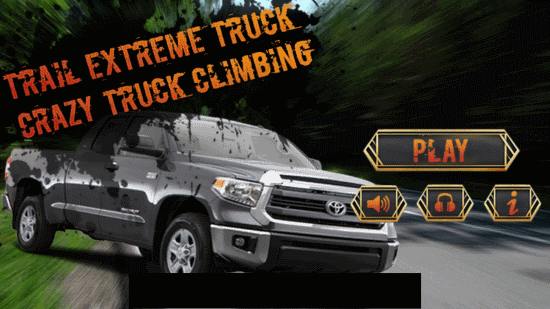 Get ready to play this extreme truck riding game and cross the hurdles with realistic physics response and detailed graphics. A series of hurdles of different kind are set for you to drive a truck on. This includes ramps. takeoffs, containers, uneven elevated path, etc., which gives extreme terrain conditions to ride on. 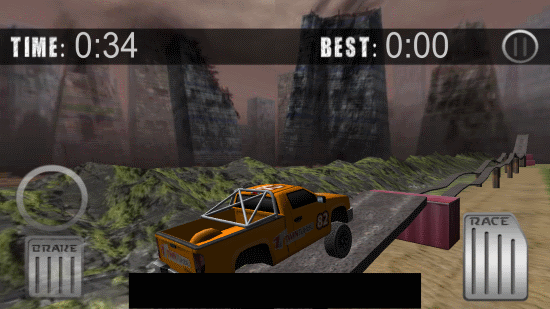 This racing game for Windows 8 can be played on both touchscreen devices and PCs. Lets get to know more about this awesome racing game for Windows 8. This is an extremely light game, which occupies around 9 MBs on your PC. You can easily get this game on Microsoft Store. Read more to find the Installation link below. You can also go to Microsoft store, then search this racing game for Windows 8 by its name. When you reach its page, simply click on Install to download and install the game on PC automatically. You can play this game on both Windows 8 tablets and PC. For PC, you need to use the navigation keys to steer the truck and press Space bar to make the truck jump. Click on the screen to accelerate the truck. There’s also a brake button provided on the screen. Click on Play to begin playing this racing game for Windows 8. 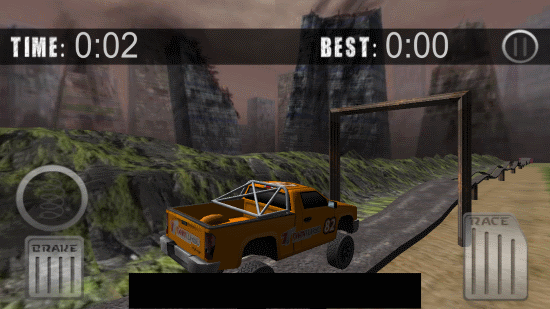 As you can see, at the beginning of the game, a ramp is setup on which you have to drive the truck. Your aim is to reach as far as you can, without falling off the ramp. The game gets extreme as you play it and you have to maneuver the ups and downs by steering. If you don’t steer properly while playing this racing game for Windows 8, you can fall easily, and you have to restart the game from there. Finish the level to begin playing the next level. This racing game for Windows 8 displays some awesome visual graphic with extreme physics responses and precision. Play this game to go as far as you can while crossing hurdles. 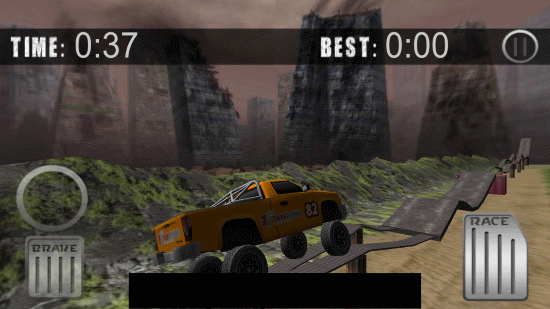 Download Trail Extreme Truck : Crazy Truck Climbing for Windows 8 and 8.1 computers.